Let Blessed Stanley Rother be our inspiration. As Father Stanley stayed despite the imminent threat of persecution and death in order that he may continue to preach the Gospel of Love, so too should we, as a church, be united in proclaiming Christ’s love for humanity. 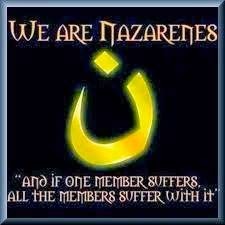 How much more so then in this time when Christians around the world are persecuted in unheard of numbers. On the Solemnity of Christ the King, I ask that the entire Church in the United States come together in a special way for a Day of Prayer for Persecuted Christians, to express our solidarity with those who are suffering. Today is that day, and, what is more, the Bishops of these United States of America have called us to a “Solidarity in Suffering” with our persecuted brothers and sisters by observing a “Week of Awareness” beginning today and concluding on Saturday, December 2nd. In 2,000 years, a vast host of men and women have sacrificed their lives to remain faithful to Jesus Christ and his Gospel. And today, in many parts of the world, there are many, many — more than in the first centuries — so many martyrs, who give up their lives for Christ, who are brought to death because they do not deny Jesus Christ. This is our Church. Today we have more martyrs than in the first centuries! In this Age of Martyrs, their situation is stark and desperate, and so Pope Francis often calls them to our attention. We cannot ignore them! We cannot forget them! Let us also think … about our many brothers and sisters today who cannot pray together because they are persecuted for it, who cannot have the book of the Gospels or a Bible because they are persecuted for it. Let us think about these brothers and sisters who cannot go to Mass because it is prohibited. How many times a priest secretly comes among them pretending to be at table having tea, and he secretly celebrates the Mass. This is happening today. How often do we think about them? How often do we pray for them? How often do we unite our sufferings, difficulties, and frustrations to the Cross of Christ for them? Sadly, it seems most of us – myself included at times – are far too willing to simply go along pretending all is well in the world. We convince ourselves that a long line at the post office or the grocery store, that an inconsiderate clerk or a rude customer, that a slow driver or a grumpy child makes the day terrible. If we are honest, however, and take a step back to gain a bit of perspective, the struggles of our daily living are as nothing compared to what so many others endure out of love for Jesus. We can sit down in a coffee shop and pray with our friends; they cannot. We can go to a park to read the Bible; they cannot. We can come to the Holy Mass without fear for our safety; they cannot. As Pope Francis reminded us the day after Christmas last year, these faithful men, women, and children, “in spite of the trials and dangers … courageously witness their belonging to Christ and live the Gospel by committing themselves in favor of the least, of the most neglected, doing good to all without distinction; in this way they witness to charity in truth.” And for it they suffer greatly, even to the point of death, and they do so willingly and gladly. The example of their public witness to the faith should give us all reason to pause. Having made their adherence to Christ, they live under the recognition that Jesus Christ is the King of the Universe and that allegiance to him requires that lives look different from the world around us. Our brothers and sisters who suffer because of their faith render fitting service to the Divine Majesty and proclaim his praise unceasingly by the manner in which they live. They know that the one who “spread[s] the table before [them] in the sight of [their] foes” is the same one who will “judge between one sheep and another, between rams and goats” (Psalm 23:3; Ezekiel 34:17). They know that everything is to subjected to Jesus and so they willingly place everything at his service and hold nothing back from him (cf. I Corinthians 15:27). They do so because they long to hear him say to them, “Come, you who are blessed by my Father. Inherit the kingdom prepared for you from the foundation of the world” (Matthew 25:34). What keeps us from subjecting our lives and everything we have to Jesus? What keeps us from letting him reign over every aspect of our existence? Rain and fog, the errors of this world; a great darkness arising from human lusts, a think fog covering the earth. And it is difficult for the sheep not to go astray in this fog. But the shepherd does not desert them. He seeks them, his piercing gaze penetrates the fog, the thick darkness of the clouds does not prevent him. We will soon enter into the great season of Advent in which Holy Mother Church calls us to prepare to meet the Lord Jesus when he comes in his glory to judge the living and the dead. On that great day, he will say to some, “Come, you who are blessed by my Father. Inherit the kingdom prepared for you from the foundation of the world.” To others, he will say, “Depart from me, you accursed, into the eternal fire prepared for the devil and his angels” (Matthew 25:41). Which will he say to me? Which will he say to you? If we wish to hear him call us to himself, we must be prepared to meet him. We must not hide from, but allow him to find us. We must allow him to bind up our wounds and to heal our sickness through the Sacrament of Penance in which we confess our sins and receive his mercy (cf. Ezekiel 34:16). We must allow the Good Shepherd and King of the Universe to us upon his shoulders; we cannot resist him, but must instead yield to the power of his love. Only by subjecting ourselves to him and allowing him to reign over us will come to “dwell in the house of the Lord for years to come” (Psalm 23:6). May the Lord, when he comes, find us prepared and ready to stand before him. May he let the radiance of his face shine upon us and bring us into his kingdom “of righteousness, peace, and joy in the Holy Spirit” (Romans 14:17). Amen. Daniel Cardinal DiNardo, Presidential Address to the 2017 General Assembly of the United States Conference of Catholic Bishops, 13 November 2017, 3. 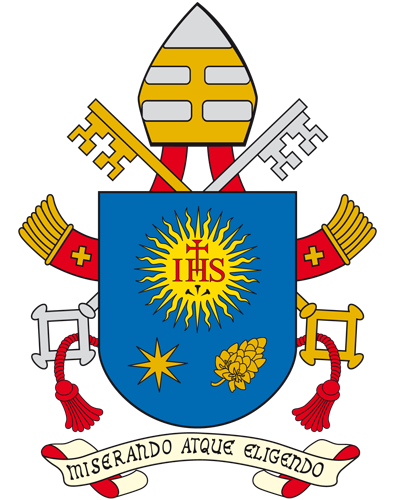 Pope Francis, Homily, 27 May 2017. Ibid., Angelus Address, 23 June 2013. Ibid., Daily Meditation, 4 March 2014. Ibid., Angelus Address, 26 December 2016. Cf. Roman Missal, Collect for the Solemnity of Our Lord Jesus Christ, King of the Universe. Saint Augustine of Hippo, Sermon 46.23. Ibid., Sermon 366.5. In Craig A. Blaising, Carmen S. Hardin, and Thomas C. Oden, et al, eds., Ancient Christian Commentary on Scripture, Old Testament Vol. VII: Psalms 1-50 (Downers Grove, Illinois: Inter Varsity Press, 2008), 179. Pope Francis, Daily Meditation, 4 March 2014.